When you hear men’s fashion what is the first thing that comes to mind? For many, it can be menswear, designers, models and etc. While all those are true my main focus is menswear. With all the developments that have occurred, I wanted to get a better idea of the current state of menswear. Who better to ask than the male fashion professionals? I reached to a few from different areas of fashion to get their take on this topic. Read below to see what each of them had to say. Tyrone Farley is a fashion blogger and founder of True Fashionista Now, a community with a focus on fashion. Living in Harlem, is his inspiration for fashion, with its’ historic architecture and Harlem Renaissance as the backdrop. His blog started as a platform for talking about fashionistas who have their own interpretation and sense of style. When asked about this subject here’s what he had to say. Menswear for fall/winter 2016 is all about mixing it up. There is no clear cut way to wear a color and it’s a great time to experiment with different looks. Silhouettes are slouchy, yet fitted which means tailored jackets can be layered with slouchy trousers or vice versa. Plaids, copper, white and even pink are colors suitable for your wardrobe this season but not head to toe. Rather, mixing up these staple color trends with your usual classic colors of black, brown and other classic hues. It’s an exciting time to be daring or sexually ambiguous too. Jaden Smith stars in the Louis Vuitton F/W16 ads wearing womenswear and perhaps this suggests that men are allowed to bring out their quilts or Yohji Yamamoto inspired trousers. Tyrone Farley of True Fashionista Now was just named among the top influencers by CFDA in collaboration with Launchmetrics (formerly Fashion GPS). He’s the Co-Author of children’s picture eBook, Jonn’s Fabulous Fashion Day available on Amazon/Kindle. 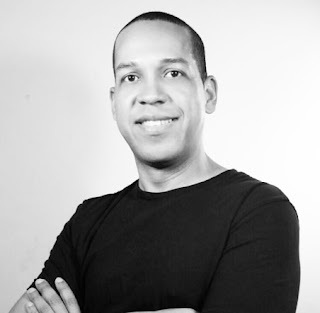 He has appeared numerous times on HuffPost Live and PIX 11 News as a fashion contributor, and also listed (1/11/2016) by CISION (A leading NYC global media intelligence company), as a top Golden Globes social influencer on Twitter for 2016. Find True Fashionista Now at their website, Twitter, Facebook and Instagram. Nathan Micallef is currently a London College of Fashion student and designer behind his namesake clothing line. He was also the winner of the 2016 New Designer Award at Malta Fashion Week and Awards. He had the following to say when asked the current state of menswear. You can find Nathan’s line on his website, Facebook & Instagram. I just presented you with two different yet informative perspectives when it comes to menswear. With all the progress that has been made in men’s fashion (i.e. the creation New York Fashion Week Men’s), there is still a long way. 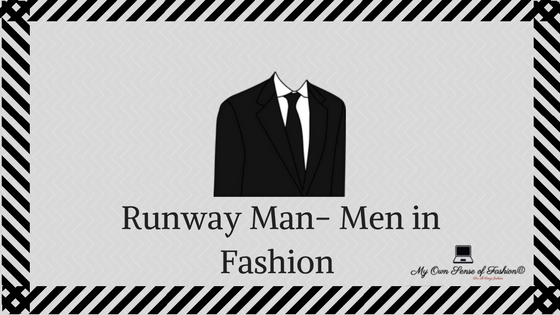 While there is a heavy emphasis on women’s fashion we can’t forget men in the process. As you can see men working in the industry share not only our love of fashion but also would like to see it continue to improve. As a fan of menswear, I am looking forward to seeing how it will involve from here. What did you think of this post? How do you feel about menswear as a whole? Let us know in the comment section below. All opinions expressed on the blog appear courtesy of Tamarah Brown for My Own Sense of Fashion © unless otherwise stated (i.e. interviews). No use or reproduction may occur without the written consent of the author. Follow us on Facebook , Instagram, and Twitter to see what we have in store. Let us know what topic you would like next on the blog.